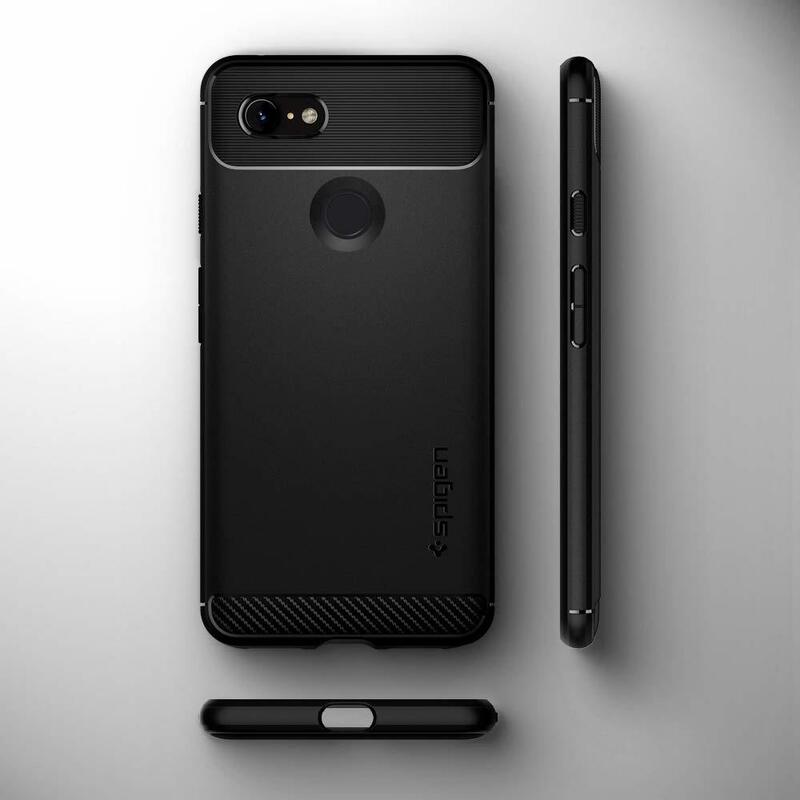 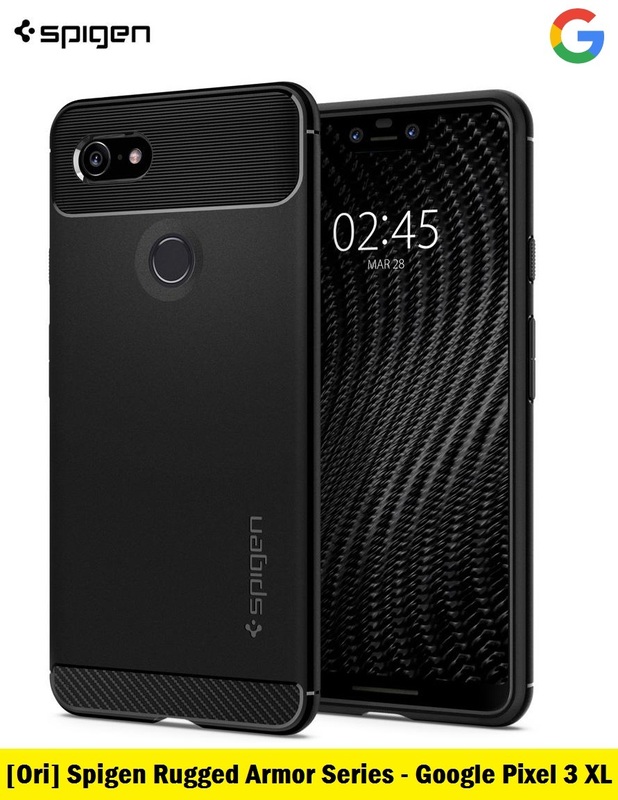 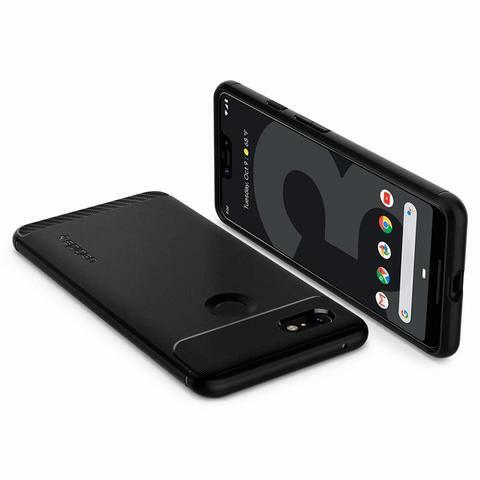 Official Spigen Rugged Armor Series Case for Google Pixel 3 XL (Black) – Sakurazz - Where Service Matters. 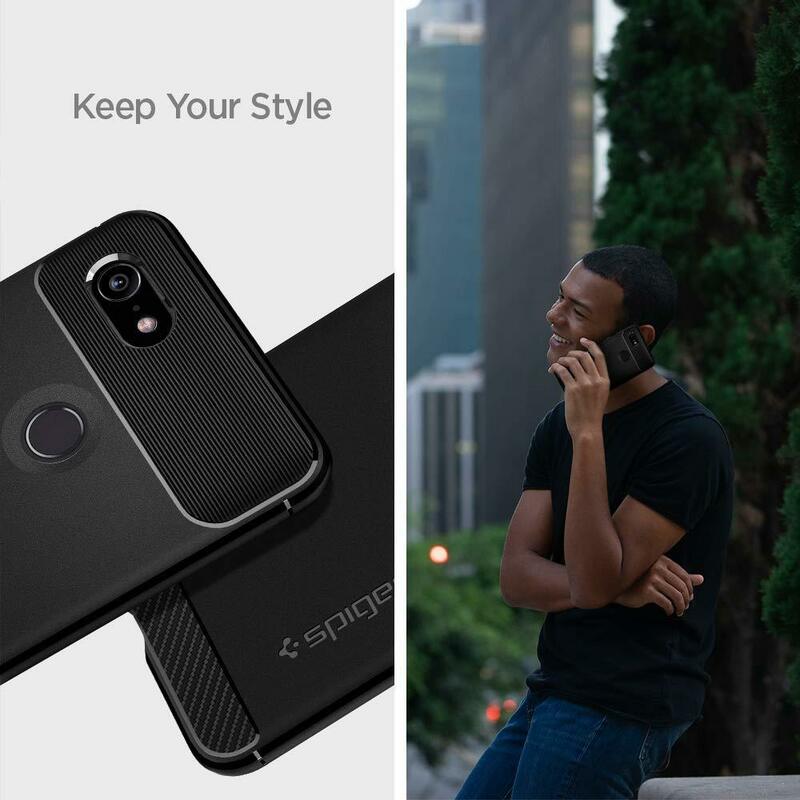 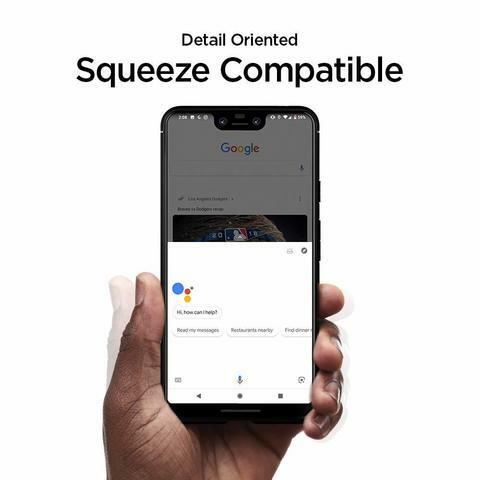 Spigen's Rugged Armor™ case for the Google Pixel 3 XL is a protective case with a mechanical design. 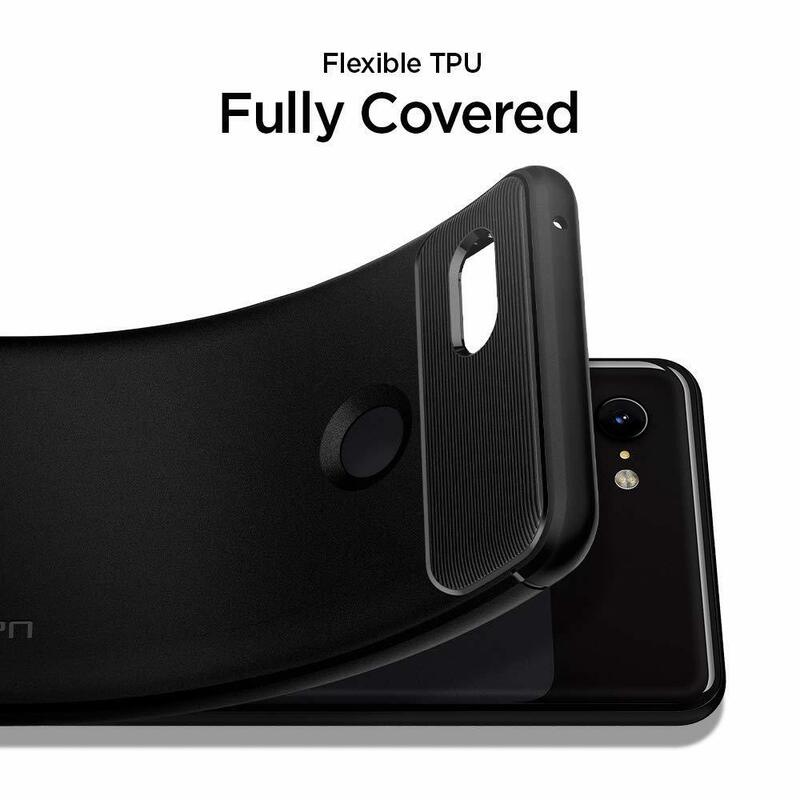 The soft and durable TPU material makes it easy to put on while protecting your device from drops and scratches. 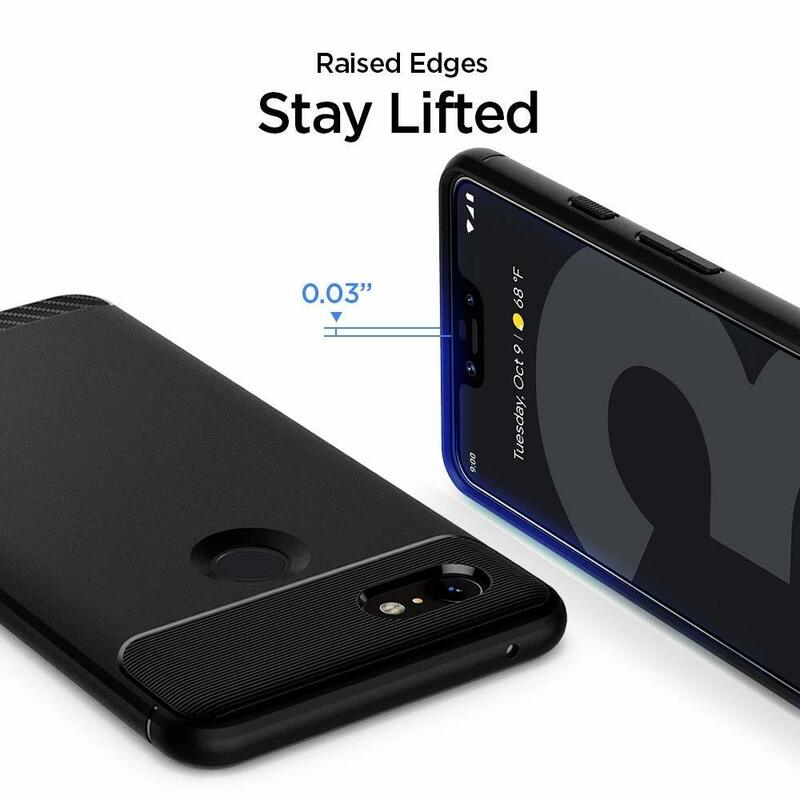 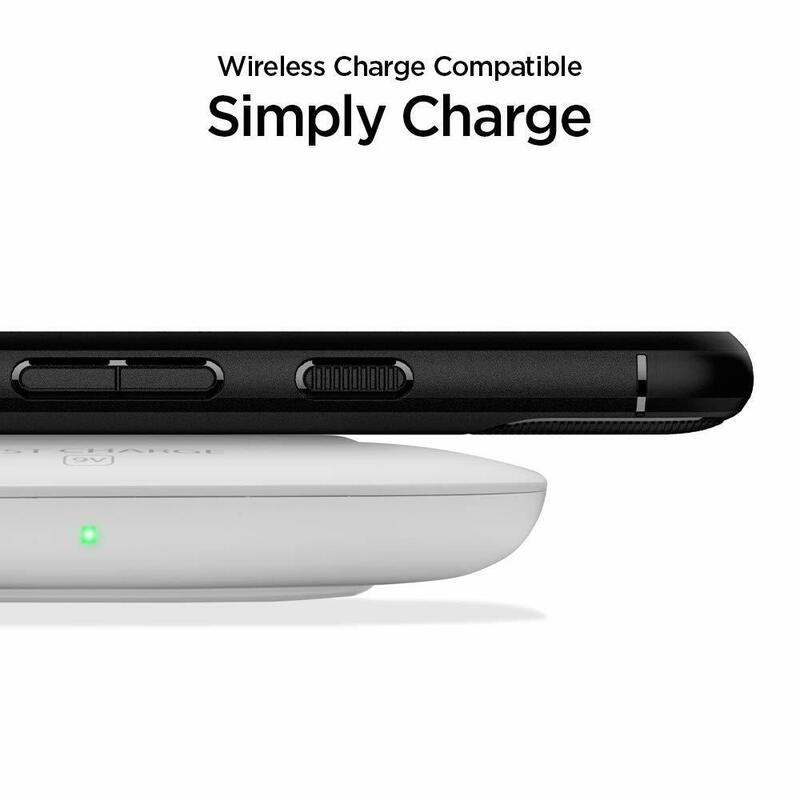 Designed with carbon fiber texture and glossy line accents on a single flexible TPU casing, this rugged protector is also military grade drop tested & certified. Its beveled and raised lip further protects your device from surface scratches.